Though comic book grading has been around for decades, it wasn't until 2000 that a new third-party grading service, CGC, burst onto the scene and revolutionized the comic book collecting industry. Though at times controversial, its proven grading system has become a gold standard for those looking to have their collection appraised. What is CGC? Why Should You Care? Certified Guaranty Company (CGC), launched in early 2000, is a comic book grading service that can help you determine whether a comic book you are considering for purchase is restored or conserved. It also guarantees a consistent grade for the comic, which makes it easier to resell. CGC is a subsidiary of Certified Collectibles Group, which provides grading services for coins and sports cards. Located in Florida, CGC, which claims to grade over 100,000 comic books annually, is unique among grading services because it doesn't allow its employees to commercially buy or sell comic books. This allows it to provide impartial and accurate valuations of comic books without the concern of conflicts of interest or fraud. CGC will grade your comic books for a fee; several pricing options are available—from $20 (with a 14-week turnaround timeframe) to a percentage of the book's value (same-day appraisal). Many customers choose to ship their comic books to CGC for grading and evaluation. CGC also partners with local and Internet dealers, to make submitting your book for grading easier and more convenient. They even provide on-site grading at various comic book conventions nationwide, including San Diego Comic-Con, Boston Comic Con, and Wizard World Philadelphia. According to CGC, packages are opened by its receiving department to ensure no damage occurred in the shipping process and to verify the package's contents. 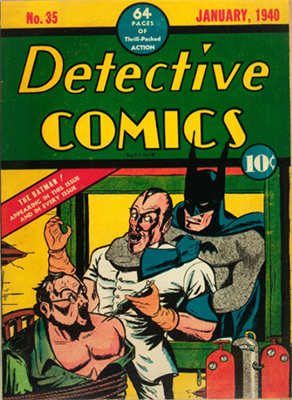 From there, the comic book's information is entered into a computer database so that the book can be traced throughout the grading process. Each book is then sealed in a protective mylar sleeve, labeled, and placed in a temperature-controlled room. 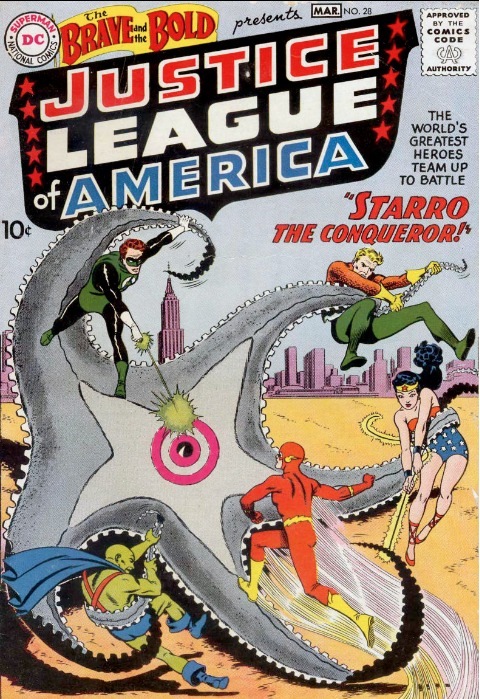 It is later reviewed by a CGC professional to determine if any restoration work had previously been done on the comic, which is noted on the certification label. This is all done before the grading process begins. Once the grading process begins, it undergoes a comprehensive review, including page count, content review, distinguishing characteristics and flaws (such as tears, creases, color fading, spine splits, etc. ), and a final CGC grade, which is an aggregate of the opinions of three professional graders and the approval of a final primary grader. Once the book is graded, it is placed in an archival-quality interior well along with its bar coded grading certificate, which is then placed inside a transparent sleeve using compression and ultrasonic vibrations. After being encapsulated, the book undergoes one last quality control check to ensure that the label is correct, and to check for any flaws that may have occurred since it was graded. From there, the CGC graded comic book is ready to be picked up or shipped to its rightful owner. Before CGC comics, collectors were at the mercy of vendors to determine the grade and value of a comic book. 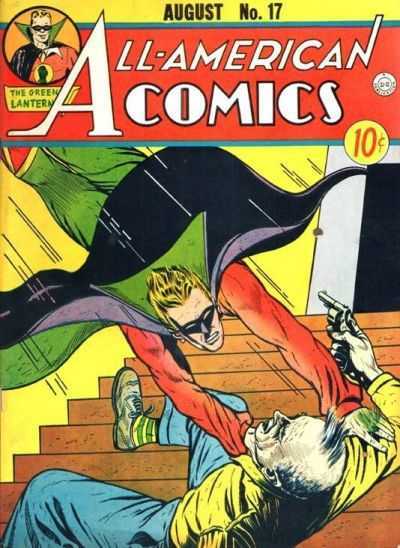 In addition, there were no quality standards for comic book grading, which meant there was much discrepancy amongst collectors about the condition of various books. 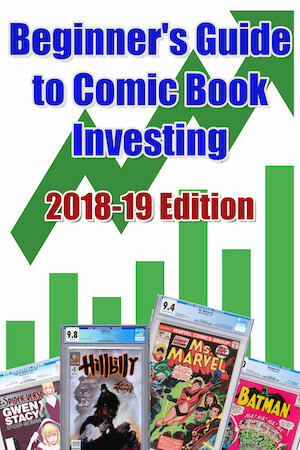 Now that CGC is known as a reputable organization and has provided legitimacy to the practice of grading comic books, having your comic book evaluated by a third-party professional grader can alleviate worries about misrepresentation and fraud, and provide a consistent, trusted standard with which to measure your comic book value. It also gives you peace of mind to know if a book has been previously restored or altered, which can negatively affect its value. Many well-known names have come to accept CGC's grading and quality standards, including Diamond, Wizard, World's Finest, and Sotheby's. It is now the accepted standard of comic book grading across the industry. According to comic book fans, there are several problems with the CGC comics grading model and process. Ultimately, comic dealers are businessmen seeking to make a profit from the sale of their books. 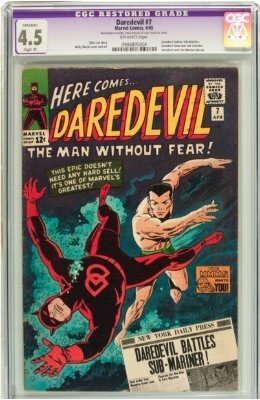 Many comic book fans simply don't see the value of CGC grading because it emphasizes the book's age and value, not its art or storyline. Many fans have accused CGC of doing nothing more than creating greed amongst collectors who are attempting to inflate the price of their books. Inconsistency of grades awarded is also a fact of life in third-party grading. Sometimes a book will receive a higher or lower grade than it 'deserves'. Though turnaround times fluctuate, many collectors have complained that the grading wait time extends well beyond the posted timeframes on the CGC website. 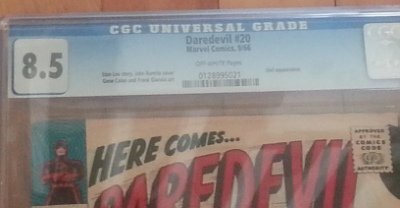 Once the comic book has been graded by CGC, it is placed in a tamper-evident sleeve, meaning that if the comic book is removed, the CGC valuation of the comic book is no longer valid. Unlike baseball cards, which are double-sided and can be viewed from the confines of a sleeve, comic books contain multiple pages and are meant to be read. In order for a collector to read the comic book, they obviously must remove it from the sleeve, which renders the grading useless. 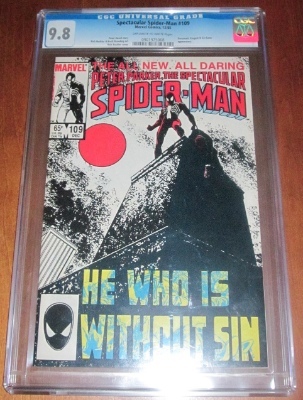 Many comic fans claim that once a book has been valued by CGC, it is essentially 'mummified'. These fans contend that this mummification of books, or slabbing as some call it, simply attracts investors who are looking to profit on collectibles and have no real interest in the comic book art form. They also purport that it does nothing for the casual fan that's interested in reading the comic for the storylines and artwork. One of the biggest complaints about CGC's emergence in the industry has been the inflation of the value of comic books. 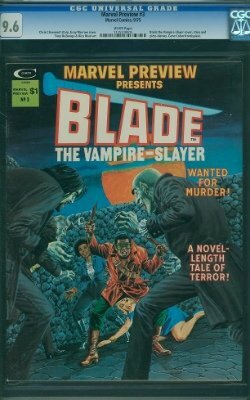 While many Golden and Silver Age comic books are worth a significant amount of money, comic fans have complained that numerous comics that were published in the last two decades (1990s-2000s) are being graded and offered at inflated prices. Some collectors are asking unheard-of prices for books that have been graded in poor condition, simply because they are older books. 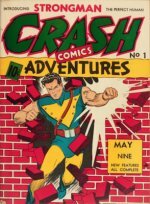 Some retailers have contended that while CGC has provided a much-needed standard for grading, it has overinflated comic book prices to the point where many are scared that once prices settle and come back to reasonable ranges, many collectors will be left with overpaid books that are worth significantly less than what they paid for them. If that happens, many retailers and fans worry that it will discourage comic collecting altogether, which could ultimately hurt the comic book industry. Some have complained about the inconsistency in CGC comics grading. Collectors have noted that they have had comic books graded, opened the tamper-evident holding to review the comic book, taken it back to CGC for re-grading, and received a higher grade than was initially provided. Others have noted grading inconsistencies between past evaluations and more recent ones. Some are pointing out that books that in the past were graded 9.8 — the lowest possible score to be considered mint condition by CGC — lacked any distinguishing flaws, whereas many books today that are awarded a 9.8 score have noticeable flaws, including blunted corners and spine tears. Some collectors contend that the change in grading styles is to increase CGC's overall business. They believe that if CGC is more lenient with its grading process, more collectors will have their comic books graded, thus increasing CGC's bottom line. Several collectors have called on CGC to be more transparent in their grading process, which CGC has failed to do. CBCS is a relative newcomer to third-party grading. Founded by the former founder of CGC, it is quickly gaining ground in the market, and is highly regarded by comic dealers and collectors. PGX, a far older company, has faced a great deal of criticism by collectors about the quality of its service and grading impartiality. Several collectors have alleged that PGX lacks the ability to detect alterations and restorations made to older comic books. Those books, they claim, were graded in mint condition by PGX, and subsequently sent to CGC for a second grading, where they were noted as having been restored. 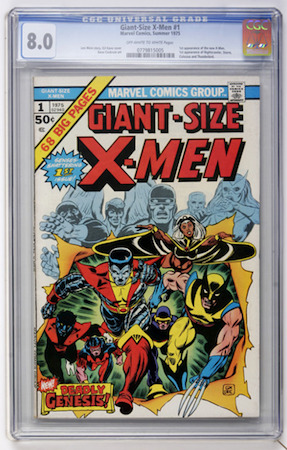 Other collectors allege that PGX employees have taken comic books that were provided to the company for grading, and substituted them with an identical book of lesser quality from their personal collections. PGX has also been hounded by controversy regarding the security of their protective sleeves. Some have accused PGX customers of removing graded books from their secured protective sleeves, making physical alterations, and placing the book back in the sleeve. PGX says they have fixed those issues and added additional security features. We strongly recommend avoiding PGX comic book grading. Stick with CBCS or CGC comics if you want your vintage comics graded. Should You Send Your Books to CGC Comics? 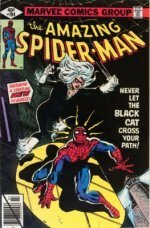 If you're wondering whether or not to submit a vintage comic book to CGC comics, then start by asking us. Send us details of the comic(s) you're thinking of having graded. We'll be able to advise you on whether or not it's worth the investment in grading fees. Click here to begin. Find out the impact that CGC has on comic book values, and work out whether you should have your comics graded before you sell them. Learn the value of your vintage comic books. Sell My Comic Books will appraise your comics free of charge! Value them for estate or insurance purposes, or sell them to us. Find all our value articles here, including all Marvel Comics characters, DC Comics characters, and many of the independents. 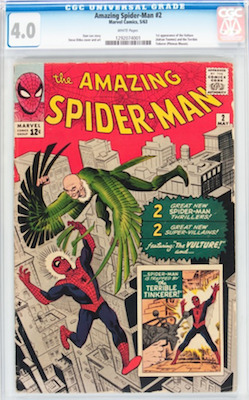 Find out what the world's most valuable and rare comics are, with record sale prices and minimum values.